Ocean Today Watch. Explore. Discover. In my career, I’ve been able to find a great deal. I’ve seen ancient ships from a time when the Mediterranean was an expanding area of different cultures from ancient Egypt to the Phoenicians, to the rise of the Greeks and the Romans, I’ve worked on ships from medieval periods, I’ve worked on ships in the far East, including a fleet that Kublai Khan, the Mongol emperor of China sent to try to invade and conquer Japan in 1281. I’ve been able to work on more modern wrecks too, from Titanic, to lost ships from World War II, to ships sunk at the end of the second World War that were lost when they were atomic bombed as the United States was testing this new and powerful weapon. No matter what type of history it represents, no matter how old it is or how new it is, for me the thing that is most powerful is when I see things on these ships that connect me to the people. Human beings built these ships with their hands. They sailed on them and operated on them, working with one another. Whether they’re up climbing and moving sails and hauling ropes, whether they’re down in an engine room shoveling coal or turning a valve, whether they’re firing a gun or taking a navigational sighting. In some cases they’re passengers, they’re sailing on these ships, to start a new life in a new land, or they’re exploring, or they’re going to fight someone. For all of that, when they live in that ship, they are their own community, they’re a village, they’re a town, and when you as an archaeologist dive on those ships, you find the evidence of what they did. And in some cases, you find them. And with that, you learn a great deal, not only about the ship, but about the people. Because ultimately, for me archaeology isn’t about things. It’s about people. The progression of how people have changed in response to the oceans, but now how the ocean is changing in response to us, that’s where I think it really becomes relevant. More of us need to be out there, bearing witness not just to new discoveries, not just to the past, but to what we see now. We need to share more of the oceans and why they’re important with the rest of the country and with the rest of the planet. Maritime archaeology is the study of past human cultures with an emphasis on how humans interacted with the world's oceans, lakes and river systems. 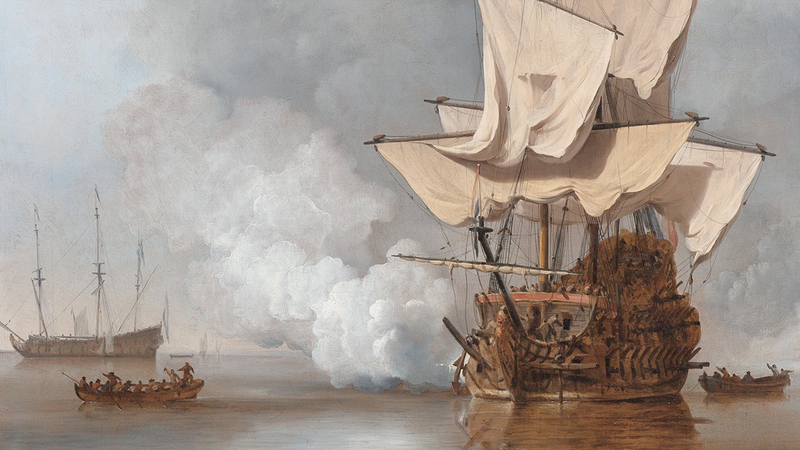 While maritime archaeology is best known for its focus on shipwrecks, it is really the study of everything connected to seafaring. The United States became a world power through its maritime commerce and naval strength. Using maritime archaeology to document these material remains helps us rediscover that proud legacy by bringing a physical connection to our past.